COULD TACOMA HAVE ITS OWN WARHOL FLOWER ON THE TACOMA DOME? Andy Warhol, Daisy, ca. 1982. Screen print on Lenox Museum Board 38 x 38 inches. The Andy Warhol Museum, Pittsburgh; Founding Collection, Contribution The Andy Warhol Foundation for the Visual Arts, Inc. In 1982, Tacoma almost had its very own Warhol painting…and it was going to be supersized on the roof of the Tacoma Dome. This November, in celebration of the 30th anniversary of Warhol’s proposal for Tacoma, the artist’s flowers and vision for the Dome are coming to Tacoma Art Museum in Andy Warhol’s Flowers for Tacoma from November 3, 2012 – February 10, 2013. Proponents of the late artist’s design are hoping “flower power” may yet prevail in bringing a spectacular new look to the Dome’s rooftop. On November 3, City of Tacoma Arts Administrator, Amy McBride, will lead a discussion of Warhol’s 1982 flower design submission for the T-Dome and the current, renewed movement to bring it to fruition. Best known for his vibrant pop imagery and searing commentary on art and popular culture, Warhol’s flower imagery reveals a softer, more intimate side of the artist. These works capture Warhol’s explorations of fragility, vibrancy, femininity, sensuality, and beauty in more than 100 works including early illustrations, photographs and paintings from the 1950s. 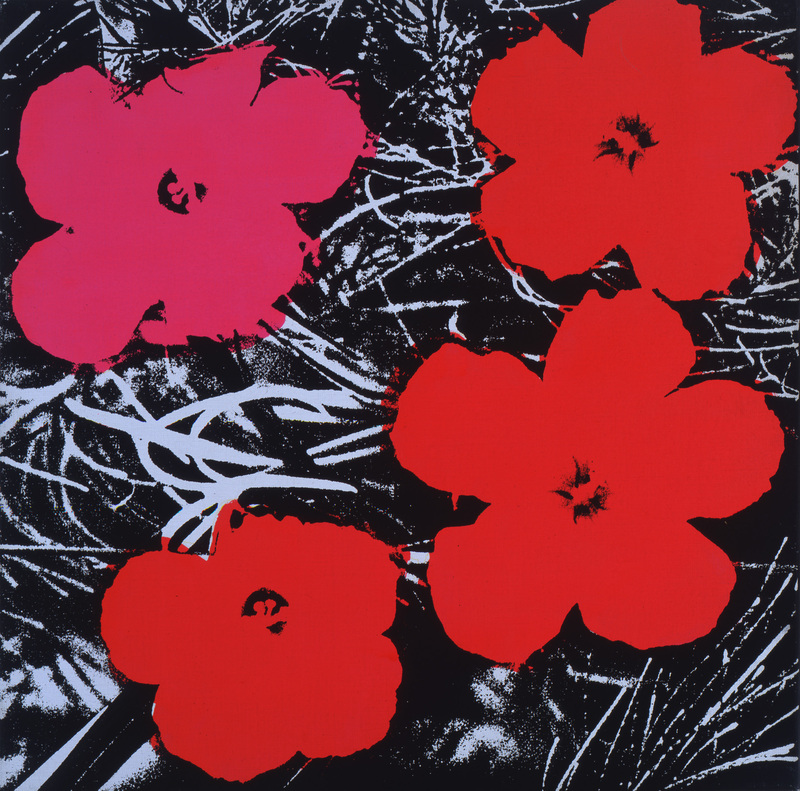 Andy Warhol, Flowers, 1964-1965. Fluorescent paint, silkscreen ink, and pencil on linen 24 x 24 x ¾ inches. The Andy Warhol Museum, Pittsburgh; Founding Collection, Contribution The Andy Warhol Foundation for the Visual Arts, Inc. Flowers for Tacoma exemplifies the nature of pop art, where something commonplace like a flower (or for that matter, a Campbell’s soup can) is transformed into art. Exhibition highlights include Warhol’s audacious floral proposal for the Tacoma Dome consisting of a vividly colored, open blossom that would have covered the Dome, as well as paintings, studio photographs, and almost a dozen screen prints from his iconic Flower series. The exhibition traces Warhol’s ongoing interest in floral imagery from the early 1950s through 1986. Advocates of the T-Dome project, known as Citizens to Install Andy Warhol’s Flower on Tacoma Dome, are trying to raise awareness about the significance of Warhol’s proposition and the opportunity it provides for Tacoma. Learn more about them at www.Facebook.com/WarholonTacomaDome. Adorning the Dome – Saturday, November 3, 2 pm. Amy McBride, City of Tacoma Arts Administrator, discusses Warhol’s 1982 flower design submission for the Tacoma Dome and the current, renewed movement to put the design on the dome. Cost: Free with museum admission. Hop Art Ale – Saturday, November 3, 3 pm. Join us for the unveiling of Hop Art Ale, a hand-crafted brew inspired by the Andy Warhol exhibition and specially created by the Harmon Brewery. This exhibition is organized by Tacoma Art Museum, with the acknowledgement of the generosity of The Andy Warhol Museum, Pittsburgh.